After a few hours of planning and contemplating on routes and stops to take; we basically just winged it. True story, I have never driven more than 5 hours to go somewhere so this was my first ever long road trip – and I was in for quite a ride. We chose Huntington, Oregon as our destination to go see the solar eclipse. Huntington was in the path of totality for the solar eclipse of August 21, 2017 – so in order to ensure we get to the city on time, we left early Saturday morning and non-stop drove until Saturday night. Most of the drive was through very small towns and the scenery was mainly mountains in a deserted area, but the views were absolutely beautiful. Every part of the drive seemed like you were in a painting; blue skies and clear roads. 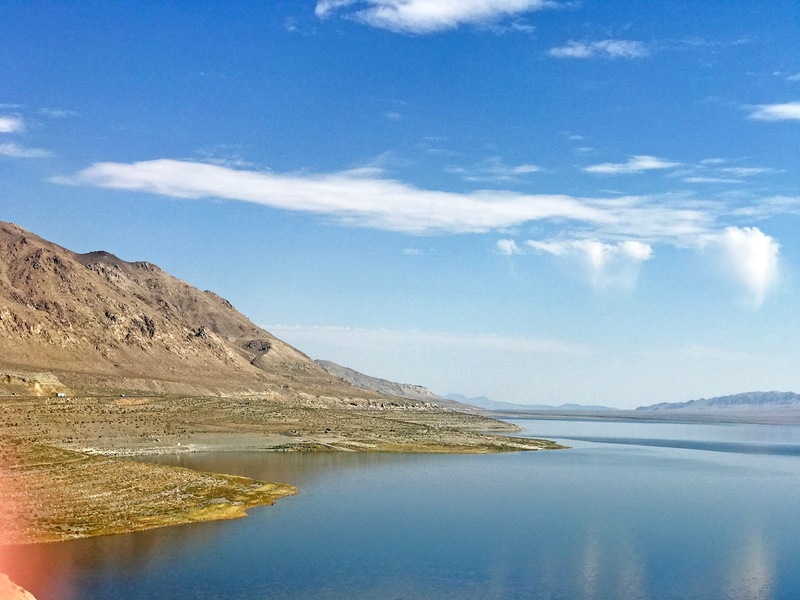 We had stopped a few times to get some snaps and take a few breaks, but my most favorite area was of this lake in Nevada called Walker Lake (see above). The view was just extremely peaceful and breath-taking. 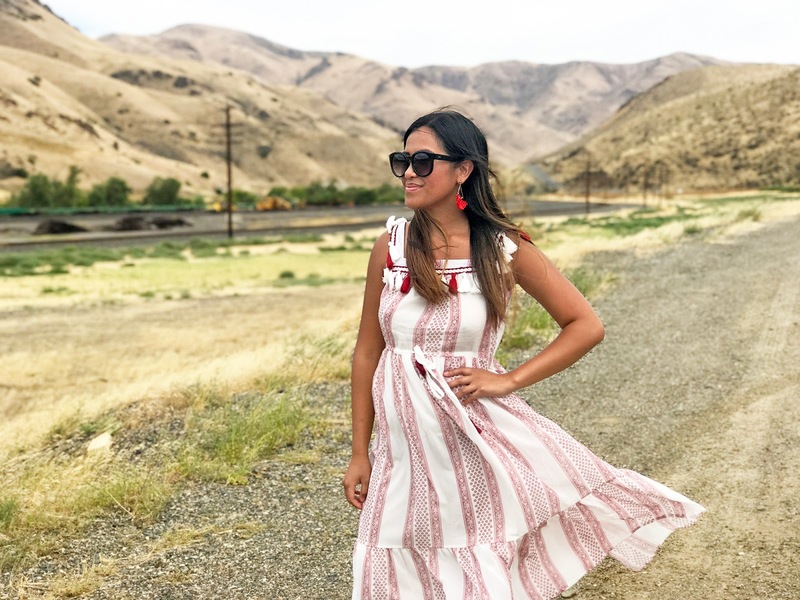 We arrived to Huntington, OR same day, (we clearly did good on time) and though we did not book anywhere to stay, we lucked out and found a camping area that had an open spot for only $12 per day! The camping grounds we stayed at were called Farewell BendCampground; the staff was super friendly and it was a very nice and safe camping ground. They had free showers and bathrooms throughout the park for guests to use, and offered “solar eclipse” food deals in the town nearby. The next day, we explored the main town. Need I remind you this town in Oregon has a population of about 400; super small town. They had a few festivities happening, so we decided to go check it out. The townies and visitors were again really nice, and everything was dirt cheap – we got $6 breakfast!! Since this was a very small town, there wasn’t much to do or any free WiFi for that matter (lol). I mean, I get it, I can relate to this. Before living in Chicago, I actually grew up in a tiny town called Mundelein. Even if it wasn’t in the middle of nowhere, it was still a small town with very selective activities like movies, mall and Taco Bell, lol. So I understand that you kind of just get used to it, and don’t know much better. Anyway, we had the opportunity to take a mini bus tour of their city, ate hearty, homemade food and just enjoyed the scenery. Then we headed back to the car where we got a good night’s rest for the big day. The solar eclipse started at 9:05 AM in Huntington, and the sun completely obscured at 10:18 AM. It was seriously such an amazing and crazy viewing experience – the drive may have been long but it was totally worth it! After it was over, we had left right after to beat the traffic. 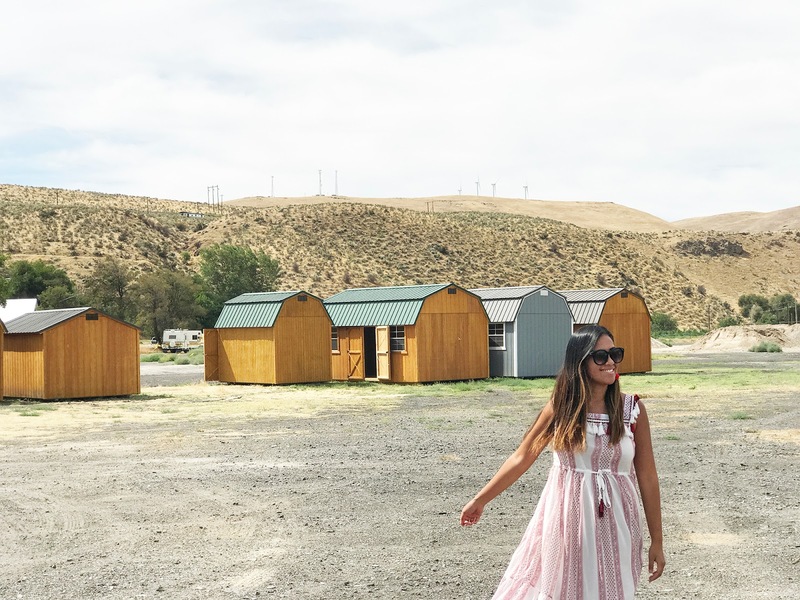 We actually had to stay an extra camping night in Lovelock, NV to take a driving break. (Who knew I could last 3 nights camping? Yikes!) We had stayed at this camping ground in the middle of nowhere, and it wasn’t so clean or felt as safe as the last one. But we made it through the night, and woke up super early to head back to LA. Overall, it was a successful road trip! (I survived!!!) It’s nice to get away from the bustling city life of LA sometimes; the outdoors is like a breath of fresh air! It’s absolutely stunning and like none other! Being in nature and this trip overall made me realized how thankful I am to be alive and to appreciate the positive little things I have in my life. I am forever grateful to be able to have the opportunity to travel any time I want!